Just like any other part of your home that needs improvement from time to time, your garage will also need some upgrading. Commonly, you will pay attention to modernising the inside but will miss out on how to update your garage doors. When you already have this in mind, it will be good to be familiar with some tips on how you can do it. Amongst them are the following. Remember that you are modernising your garage doors. It is but imperative in this regard that you must be familiar with the latest styles for these permanent fixtures in your home. You have to keep in mind that most contemporary homes focus on making lines straighter and cleaner. Colour wise, black and brown are very popular nowadays. If your house is set in the rural areas, you will never go wrong with garage doors that follow the carriage and ranch styles. Do not forget that garage doors with the latest technologies and features are also up for grabs these days. This modern world had taught us to care for Mother Earth in many ways possible. If you want to contribute in the reduction of ecological footprint, it will be wise to do it together with modernising your garage doors. Along this line, you have to think of installing energy-efficient garage doors. You can think of many ways to do this. For one, you can look for garage doors that can help reduce heating costs. In another, you can go for products that are durable which will assure you do not have to replace the doors from time to time. The good news is you can find products that are already capable of serving you for 20 years or so. There are also garage doors out there which provide the needed insulation you need without actually adding up to your monthly utility bill. With this, you can keep the place warm during the winter and cold during the summer. Modernising your garage door will also mean updating it in terms of technology. Some of the latest technologies of today will offer you with Internet connectivity capabilities. Of course, do not forget about electric versions available for purchase. Look for garage door openers that make use of DC motors as this will help reduce the energy you consume during its operation. Backup batteries are available for these types of door openers as well. Aside from using the remote control that may come with garage doors, you can also scout or search for particular smart phone apps that can help when you operate these fixtures. There are many apps out there that are compatible with any type of garage door. Just go into reading the details of each app. Some garage door manufacturers may also recommend which apps you can make use of in this regard. In case you forget your garage door remote at home then you can easily open it by using these applications. Some of you will rely on your own two hands or your entire body to do the work when modernising your garage doors. Whilst you already have some tips to help you with, it does not imply that you can just do everything on your own. Relying on garage door specialists will help you. Sometimes, a little repair or addition to the garage door will also be enough. 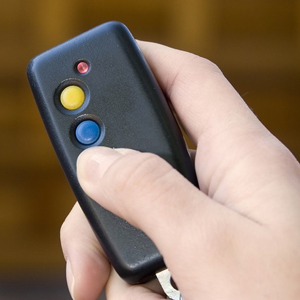 For garage door opener repair in Brampton, you need not look far. You can always count on us to do the job. Just specify what you need and we will look into the problem and help you with our expertise. We will also see to it that our services complement with your concept of garage door modernisation.